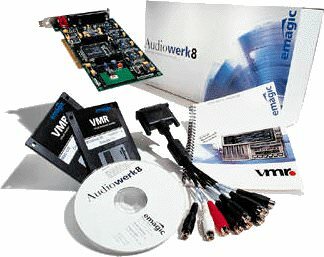 The Audiowerk8 is a PCI recording card with 2 analog inputs, 8 individual outputs, and stereo digital I/O (S/P-DIF). 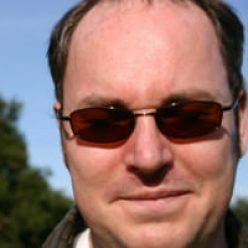 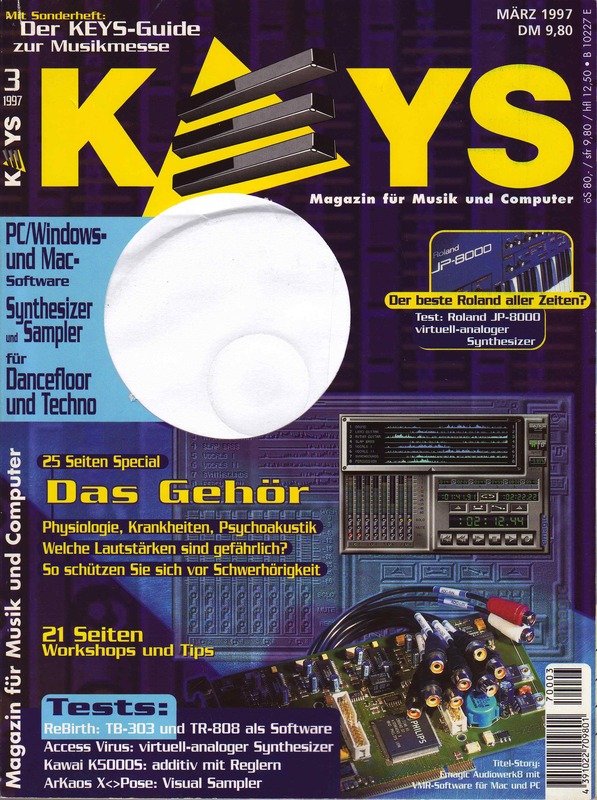 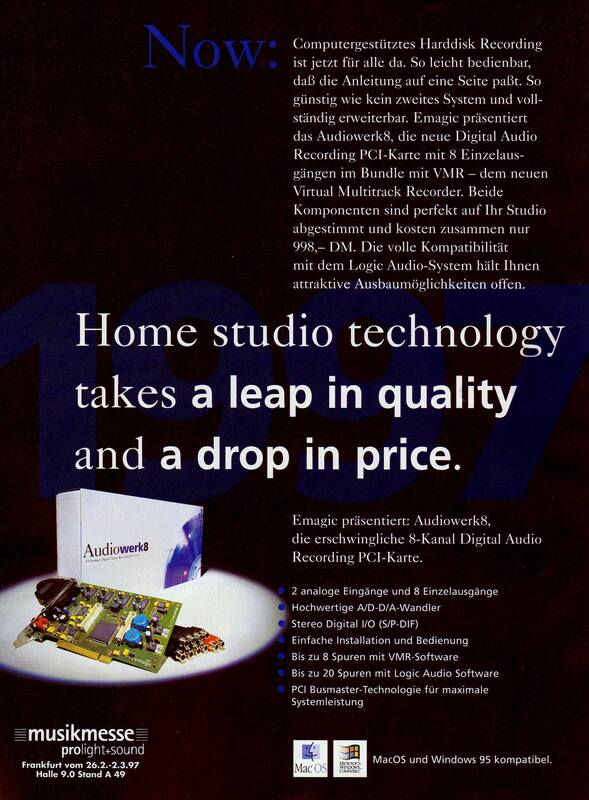 Audiowerk8 is fully compatible with any MacOS or Windows 95 PCI computer. 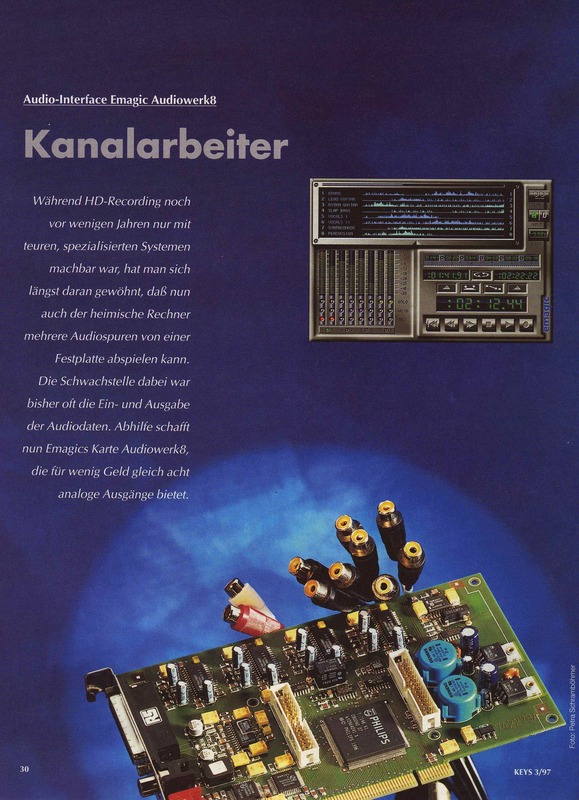 The high quality A/D D/A converters feature bitstream technology (18 bit equivalent) to ensure professional sounding results. 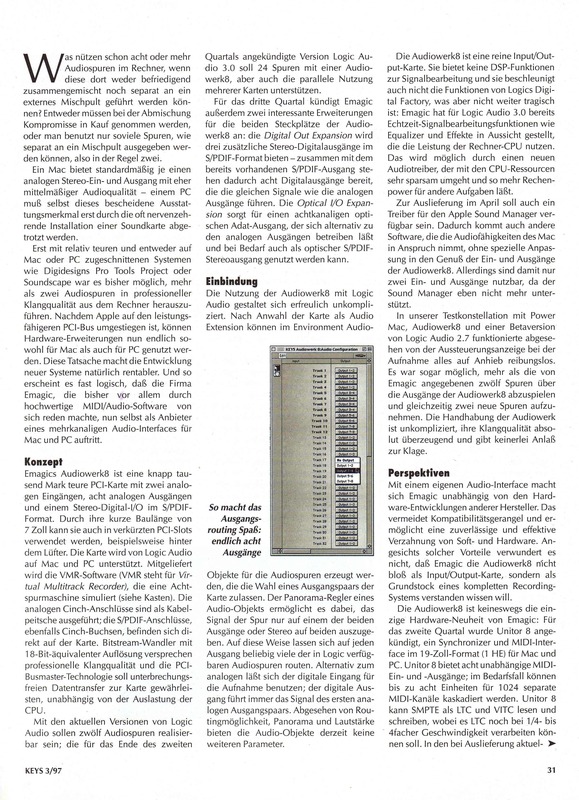 The PCI busmaster technology allows for an uninterrupted data transfer to the card independently from the CPU load and therefore optimizes overall system performance. 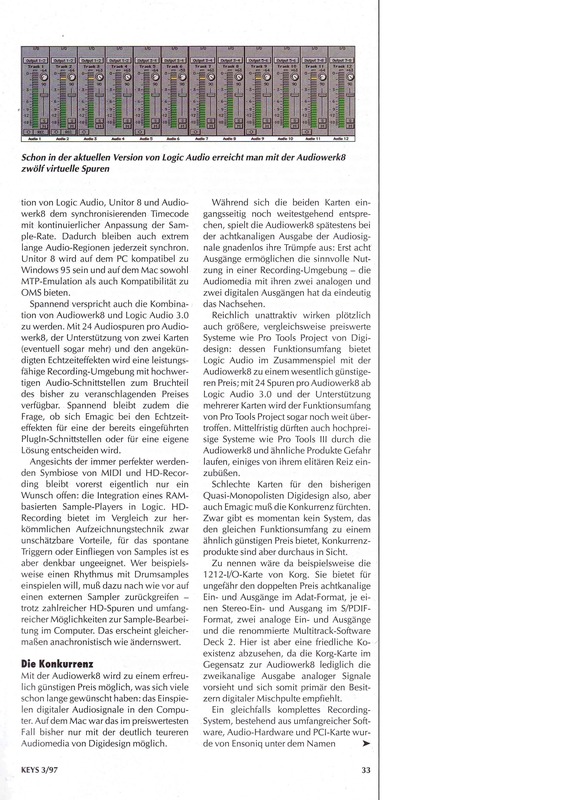 Audiowerk8 is an integral part of the Logic Audio System. 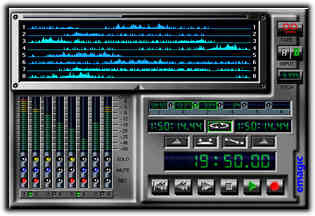 Up to 12 audio tracks are possible with the current versions. 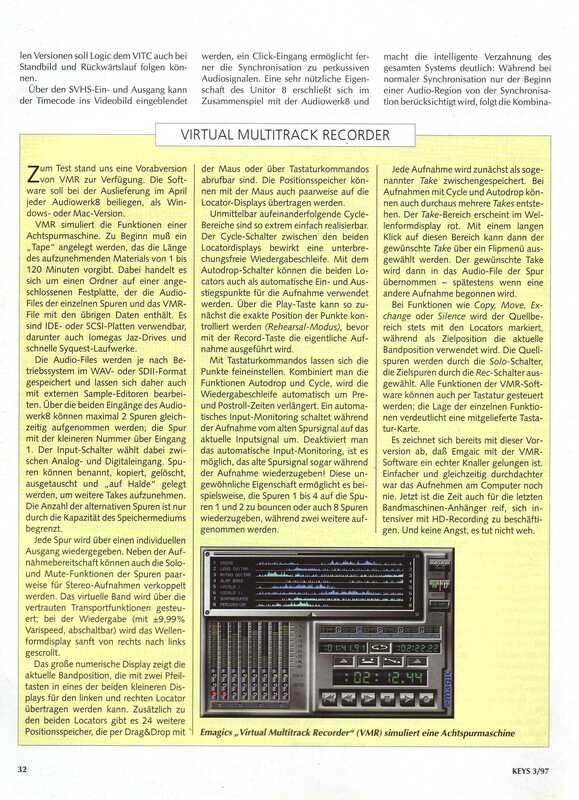 The Audiowerk will ship with VMR, Virtual Multitrack Recorder software. 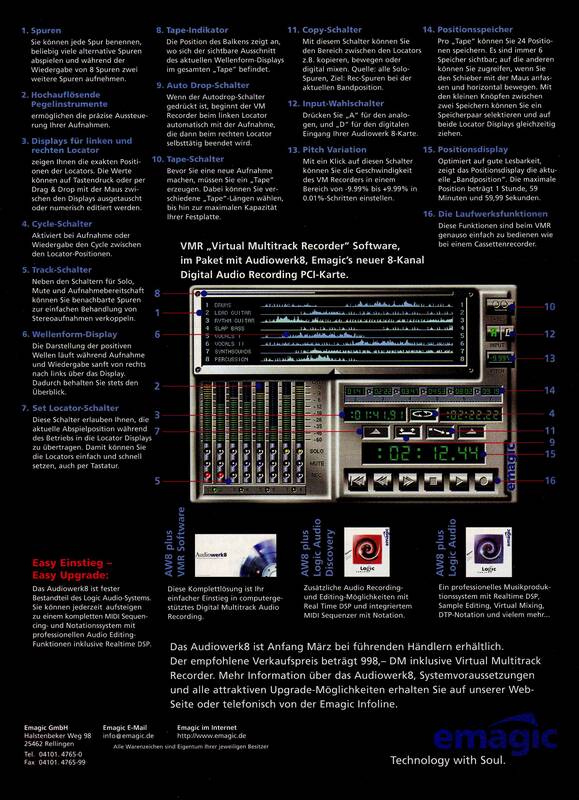 Availability and Price Audiowerk8 with VMR will be available in the 1st Quarter 1997, and will have a suggested retail price of $799. 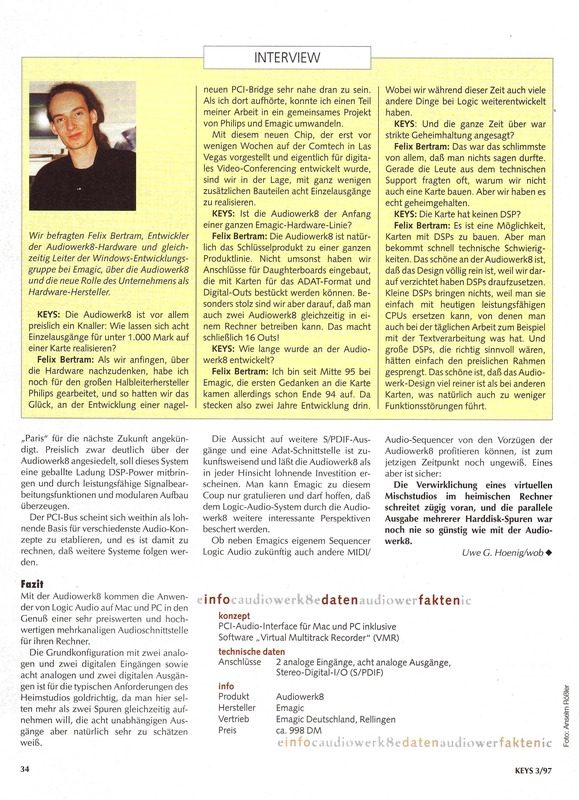 Download the original CD as a disk image from GitHub (158MB).